There are close to 800,000 truckers employed in the United States traveling 250 million miles per day on our highways. We travel alongside them without giving much thought to the person behind the wheel. What kind of training have they had? How is their driving record? When was the last time they took a break and slept? Thankfully the Federal Motor Carrier Safety Administration does ask these questions and has enacted laws to try and ensure that other motorists are safe from large commercial trucks. If you, or a family member, have been hurt recently in a collision with a truck, contact a Missouri truck accident attorney as soon as possible. There is a lot of evidence to explore in these types of claims, and the sooner an attorney can get to it, the sooner you will receive your compensation. With over three million registered 18-wheelers in the United States, commercial trucking is big business and has a tremendous responsibility to the public. One of the biggest challenges they face is in hiring their drivers. The FMCSA has guidelines that require all prospective drivers undergo a thorough background check, plus previous employers are mandated to turn over employment records spanning back three years. Failure to do so could cause a trucking company to hire a driver who has a history of driving recklessly. For just a few dollars a trucking company can easily check the background and driving record of an applicant. An Arkansas based trucking company failed to do this with a new hire and it ended up costing them a $7 million dollar jury award to the family of another motorist killed by their new hire. They took the applicant at his word that he had a clean driving record even though he had had his license revoked two times in the past. A similar scenario in Missouri occurred, except in that case the trucking company was aware of the drivers’ poor history and still allowed him to drive one of their 18-wheelers. He rear ended a passenger car, pushing it across the center line head on into another vehicle. Evidence showed that he had exceeded the weekly hour limit for driving at the time of the accident. The companies insurance company balked at a settlement until faced with the prospect of an additional claim for bad faith. In the end they paid out to the plaintiff the million dollar policy limit. All employers share a due diligence to make hiring choices that will not harm others. Plus they have a duty to ensure that their employees remain qualified for the job. Equally important to careful screening of applicants, is the importance of tracking performance and letting an employee go if his abilities begin to decline. 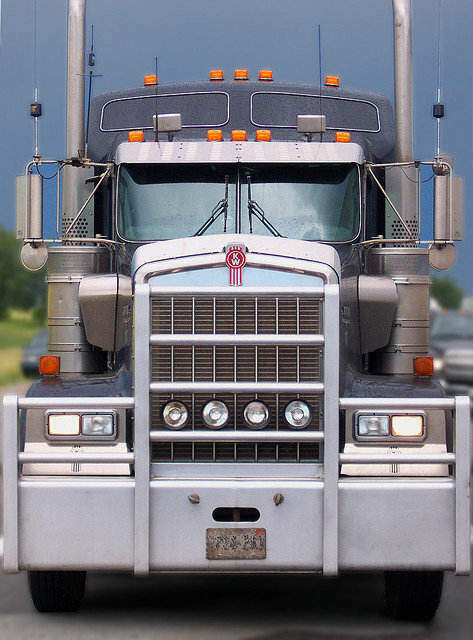 Trucking companies are big business and have the resources to fight claims aggressively. It is not beneath an insurance adjuster to try and mask evidence or change facts. It is imperative that you hire an equally aggressive Missouri truck accident attorney if you, or a family member, have been hurt in a collision with a commercial vehicle.